There was a spontaneous peal of applause in the Teatro Central at the end of this film yesterday, where I showed it during a talk about community arts at a performing arts and social inclusion conference in Seville. The Answer to Everything is Streetwise Opera’s latest work, which I saw recently in Manchester. Combining live performance with a 40 minute film screening, it’s formally innovative, musically uplifting, funny and sharp as a pin. 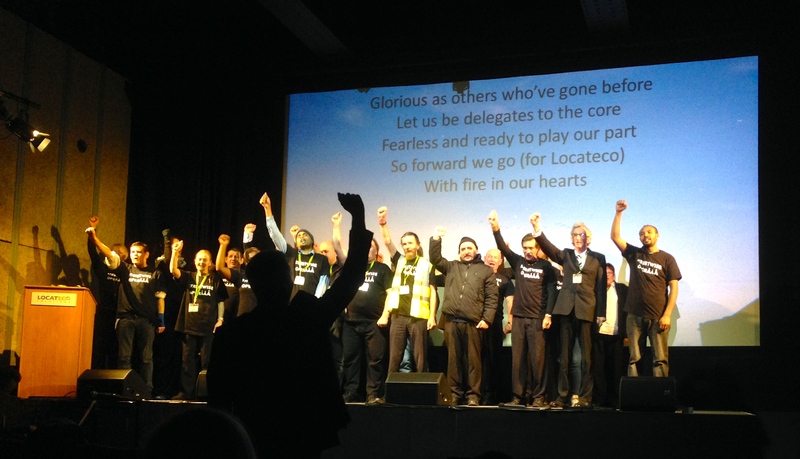 Mimicking the modern conference’s hollow theatre, it shows we don’t have a housing crisis but a homes crisis. As the profitable house of cards promoted by Locateco, the fictional developer at the heart of the piece, collapses, the planners, investors and politicians gathered in the room begin to see the world of difference that lies between those concepts. It is empowering—and it’s beautiful. There are many, many ways of making great community art; but this is the equal of any I know. Even so, the company still runs uphill to make ends meet. Last year, it ran 622 sessions in 10 homeless centres, involving almost 650 people, and gave 22 public performances and concerts. Just 15% of its budget was covered by a grant from Arts Council England (or 0.17% of ACE’s budget for opera). The rest comes from a huge range of charitable and other sources, and an even greater value of gifted time, resource and help. 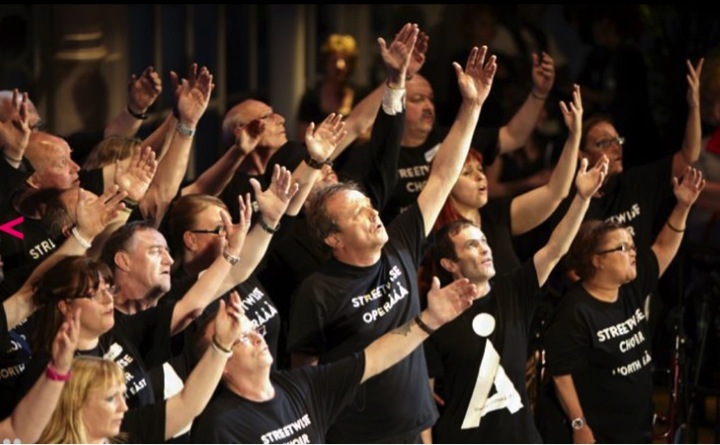 A society that truly wanted to reduce social exclusion, or one that cared about how its artistic heritage was developing, would ensure that the work of groups like Streetwise Opera was secure. Anyone willing and able to help Streetwise can make a donation via their website.